We crawled under the red lasers on our hands and knees, careful to keep low to the ground. Finally reaching the far wall, we hit the completion button – safe for a moment while the grid reset, and waiting to see what the next challenge would be. A moving gate? How would we have to jump and twist ourselves in order to navigate the next labyrinth? Those are just some of the dilemmas you will find when you step into Activate, Winnipeg’s newest attraction and the world’s first active gaming experience of its kind. This unique experience is the brainchild of Adam and Megan Schmidt, who are also the owners of the wildly popular The Real Escape. 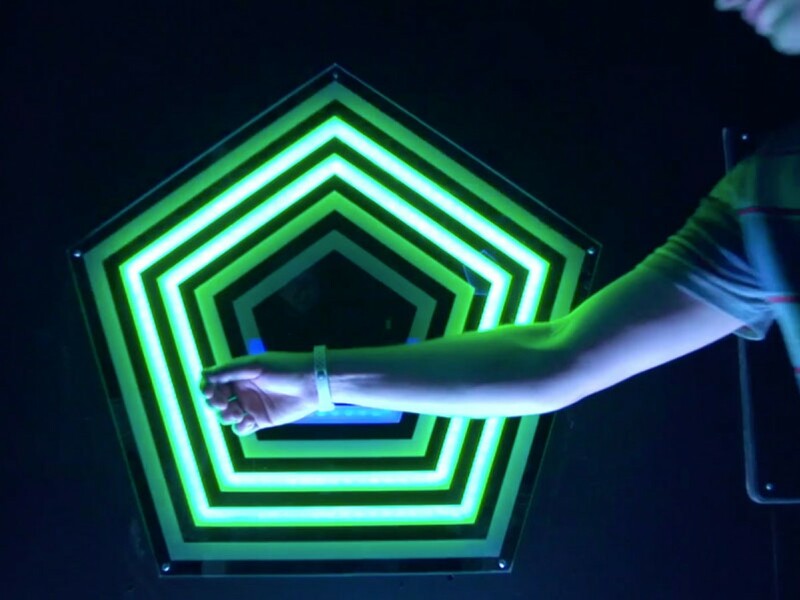 With a mind for cooperative puzzles and interactive gameplay through years of experience building challenging escape room puzzles, Adam and Megan turned their attention to a new style of puzzle-solving: active gaming. You won’t find any virtual reality headsets at Activate; this style of gameplay is its own type of experience entirely. When you walk into the game centre you’ll have access to eleven different rooms, with each room physically constructed uniquely for a specific game (each game can have multiple scenarios, and difficulty levels so you can try something new in the same room multiple times). The laser maze is a room actually filled with (harmless) lasers you have to crawl through. The rock-climbing wall, where you can only grab handholds based on their gamified colour code, is going to have you actually swinging from grip to grip. The target throwing challenge is going to have you throwing real balls at real targets. Pack running shoes and loose clothing – at Activate, you’re going to be moving. A lot. Just in case you thought that sounded too easy, don’t relax just yet – you’ll be working your brain a lot during these games as well. Many of the challenges at Activate are logic-based, and required good team communication and quick thinking to complete. Some highlights include the ‘hide and seek’ game, where you have to unscramble a jumbled word inside of a room filled with giant eyes. When that eye flashes red, if you’re not hiding behind a column, be prepared to lose a life. Another game (which, we’re not ashamed to admit, we could have played for hours) had us scrambling through a pipe-filled room, trying to find the right colour codes to complete the challenge. A big component of the Activate experience is how much it will bring out your competitive nature. The multiple games you can play are all logged and tracked through a digital wristband, allowing you to save and compare high scores with your friends. Even better, your personal high scores are saved at Activate so you can keep trying to beat your old scores during your return visit. Activate is geared towards adults, due to the challenging nature of some of the games. If you’ve ever tried your luck and matched wits with an escape room before, then Activate will feel a little similar. But at the same time, it’s a completely new experience. Each puzzle is hand-designed and built by Activate, from the LED-lit floor tiles (where a directive like ‘don’t step on the red tile’ gets increasingly challenging the further you go) to the wildly original game that has you putting rubber balls in a grid wall to create musical beats. Some very creative minds have come up with puzzles that are guaranteed to keep you entertained throughout your 90-minute stay. Activate Games has just opened its doors, so get a group of friends together and be some of the first to try out this new active gaming experience. For more information, and to book your visit, visit their website.